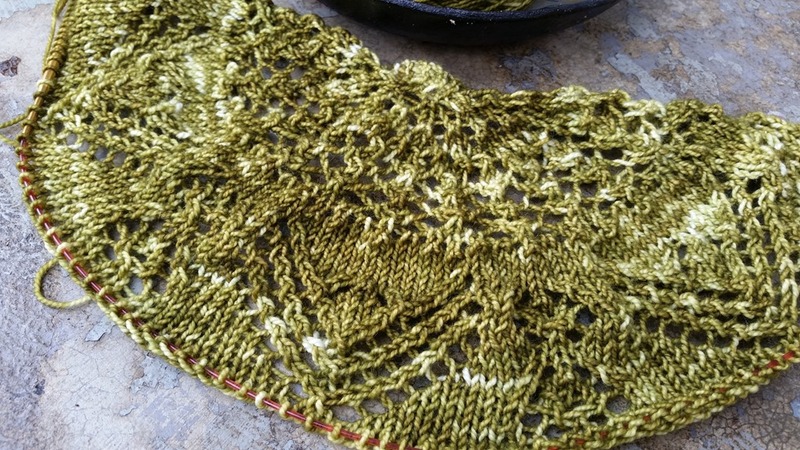 A Shawl in Three Weeks? After a long holiday break I have made much progress on the Culpeper Shawl that I started just a few days before Christmas. I know it’s not a great picture, but it’s kind of cold outside so I took what I could get. At least the sun is out today. When last I posted I had completed the first three charts and was prepared to do the last increase and the last three charts, which I have done over the holidays and am now doing the border edging which is super easy and fast. I am about 25% done with it in just the few days I have worked on it in the evenings. 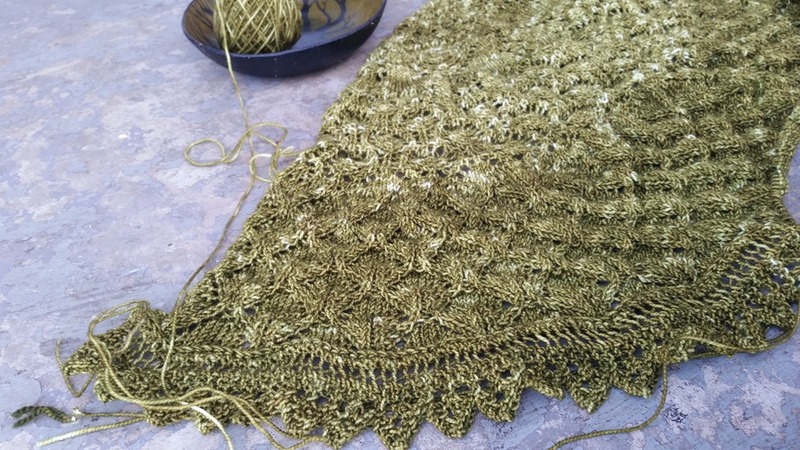 I can’t believe I am this close to completing a lace shawl that I started only 16 days ago. Unheard of! Here’s a reminder of where I was before Christmas. I can’t wait to get this finished and see how it looks blocked out. It really doesn’t look that impressive right now since the lace work is pretty open and will need the stretching to open it up. I think the increase method plays into it as well. It will need a much more aggressive blocking that I usually do to work it’s magic. When this comes off the needles I will have nothing going. I had better look through my queue and make a decision about what comes next. Can you stand the suspense?